^ a b Lev, Peter (2013-03-15). Twentieth Century-Fox: The Zanuck-Skouras Years, 1935–1965. University of Texas Press. ISBN 9780292744493. 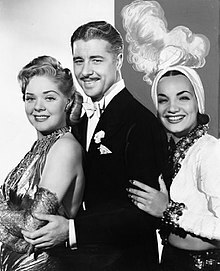 ^ "1935-1940 - Life in the Foxhole: Insiders Recall 83 Years of Scandal and Stardom at 20th Century Fox". The Hollywood Reporter. Retrieved 2019-03-05. ^ Natale, Richard; Natale, Richard (2014-02-11). "Shirley Temple, Legendary Child Star, Dead at 85". Variety. Retrieved 2019-03-13. ^ Natale, Richard; Natale, Richard (1998-05-11). 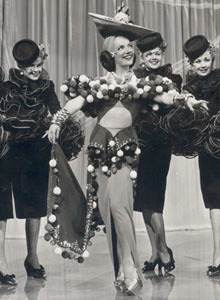 "Fox tuner Faye dies at 83". Variety. Retrieved 2019-03-13. ^ Troyan, Michael; Thompson, Jeffrey Paul; Sylvester, Stephen X. (2017-08-15). 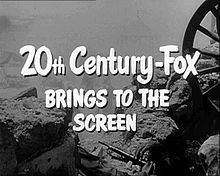 Twentieth Century Fox: A Century of Entertainment. Rowman & Littlefield. ISBN 9781630761431. ^ a b c Gerard, Jeremy (2015-07-28). "Fox Names Isaac Robert Hurwitz To Head Live Theater Division". Deadline. Retrieved 2019-03-28. 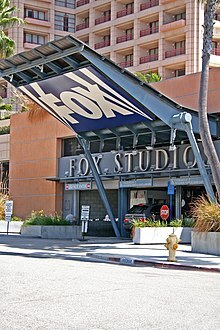 ^ "The Walt Disney Company Announces it Expects No Further Extension of Exchange Offers and Consent Solicitations for 21st Century Fox America, Inc. Notes". The Walt Disney Company. 2019-03-12. Retrieved 2019-03-14. ^ "EX-99.1". Sec.gov. Retrieved 2019-03-28. ^ "TIME". LIFE. Retrieved 2019-03-28. 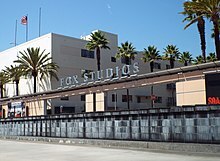 ^ a b c d "20th Century Fox Enlists Help in Bringing Its Properties to the Stage - The New York Times". Nytimes.com. Retrieved 2019-03-28. ^ a b c "What the Disney-Fox Deal Could Mean for Broadway". Hollywood Reporter. 2017-12-16. Retrieved 2019-03-28. ^ a b "Cate Blanchett to Star on London Stage in 'All About Eve'". Hollywood Reporter. 2017-04-28. Retrieved 2019-03-28. ^ "'Anastasia' Theater Review". Hollywood Reporter. 2017-04-24. Retrieved 2019-03-28. ^ Hipes, Patrick (2019-03-21). "Disney Sets New Post-Merger Film Leadership Lineup After Trying Day". Deadline. Retrieved 2019-03-28. ^ Gordon Cox (2015-07-28). "Fox Stage Productions Makes Isaac Robert Hurwitz a VP – Variety". Variety.com. Retrieved 2019-03-28. ^ Huston, Caitlin (13 March 2019). "Anna D. Shapiro to direct 'The Devil Wears Prada' musical". Broadway News. Retrieved April 5, 2019. This page was last edited on 18 April 2019, at 23:40 (UTC).